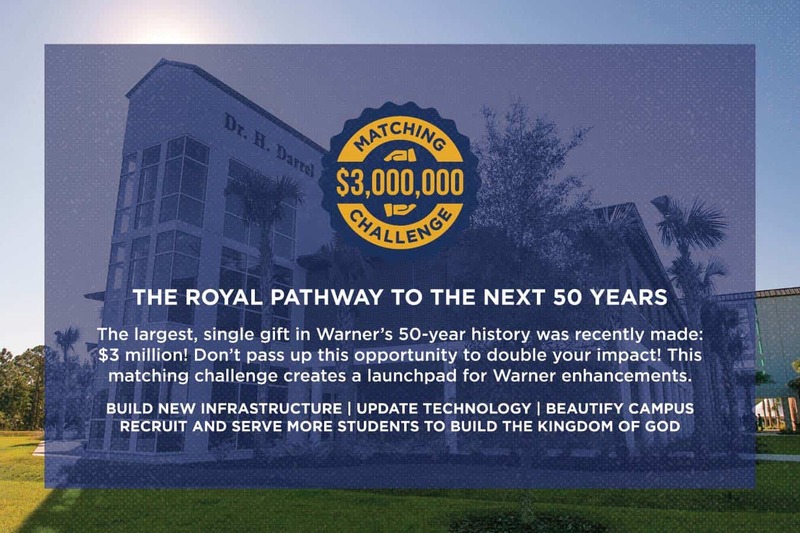 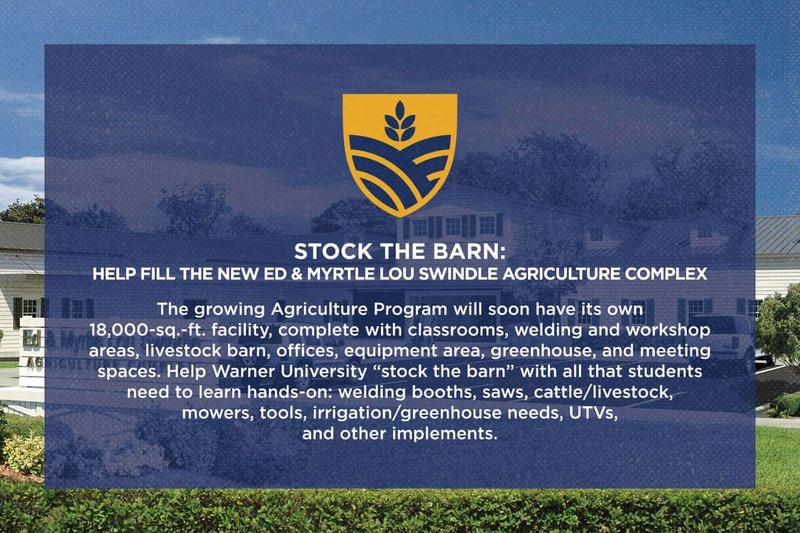 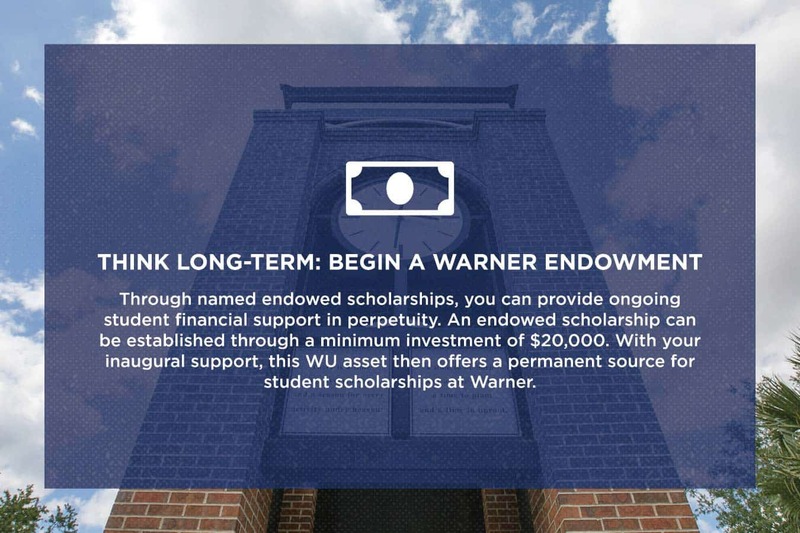 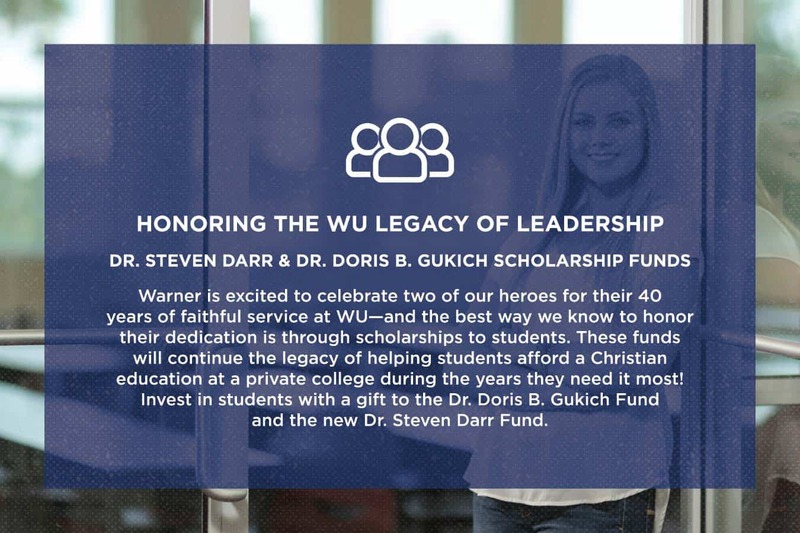 The largest, single matching gift in Warner’s 50-year history was recently made. 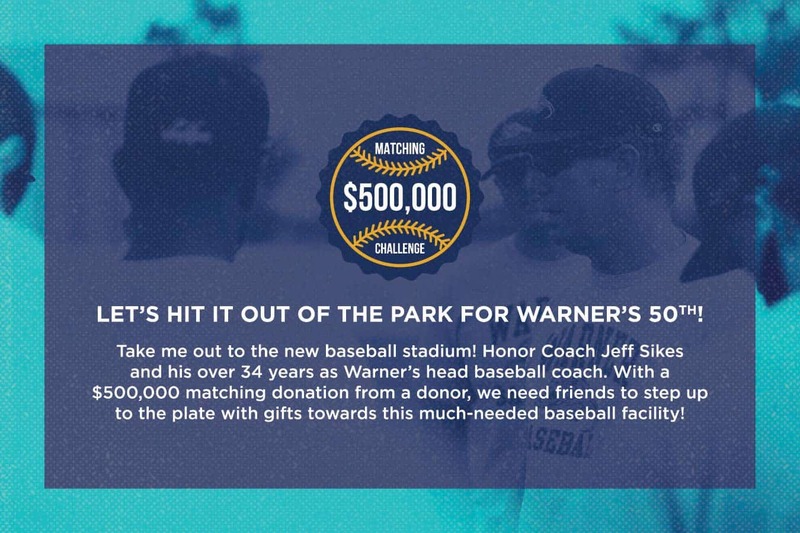 Funds are going towards new infrastructure, updating technology, scholarships, and student recruitment. 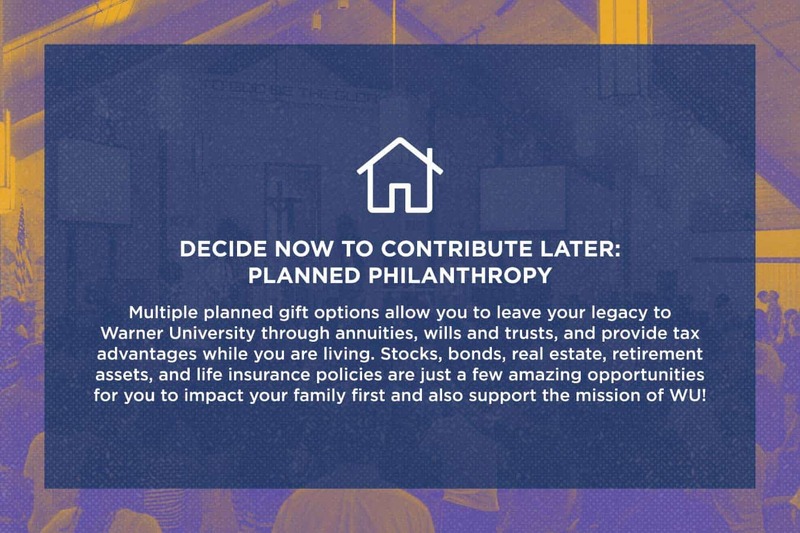 CHECK OUT MORE OF OUR EXCITING GIVING OPPORTUNITIES. 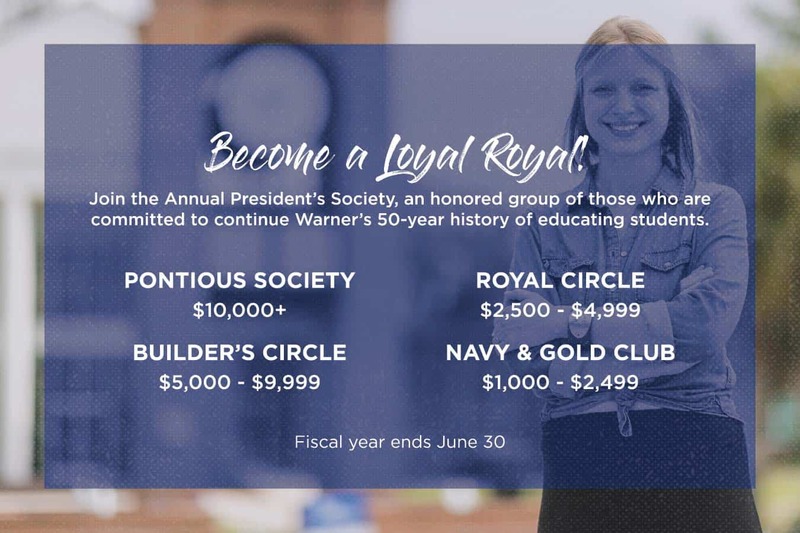 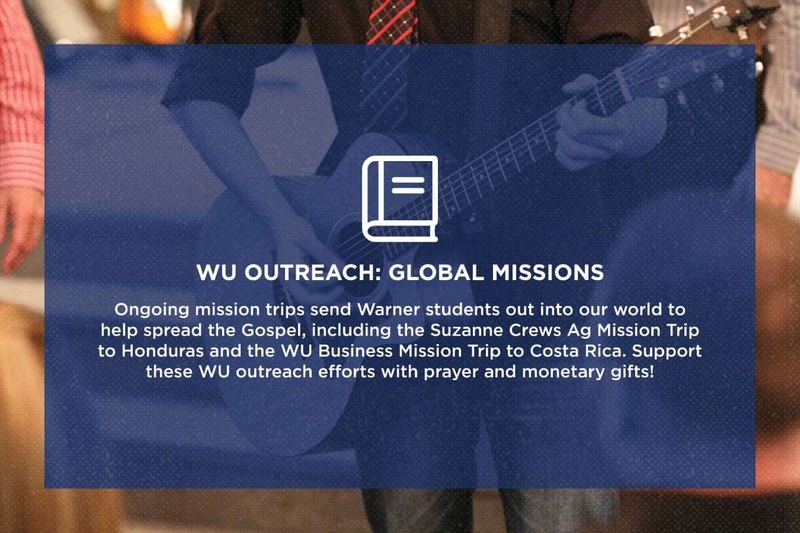 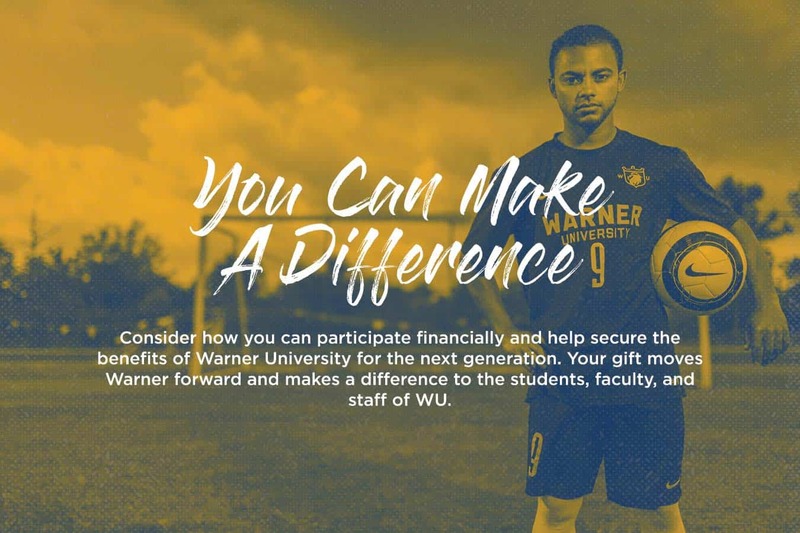 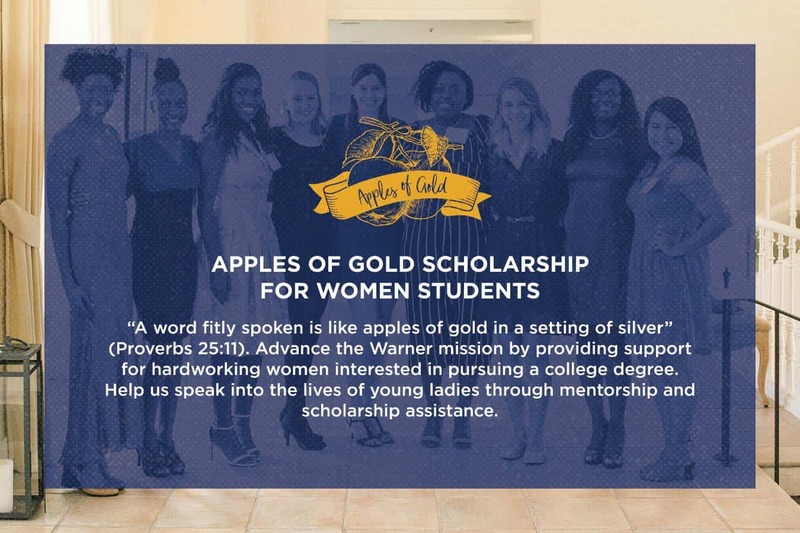 Please contact the Warner University Advancement Department to discuss giving opportunities.